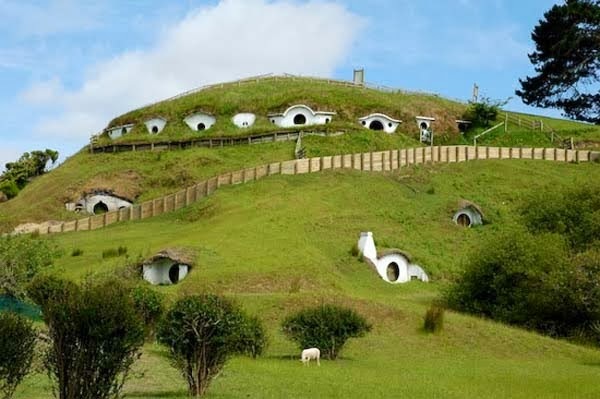 The Hobbit scenes from Lord of the Rings Movie Trilogy were filmed on a hillside lot in Matamata, New Zealand. 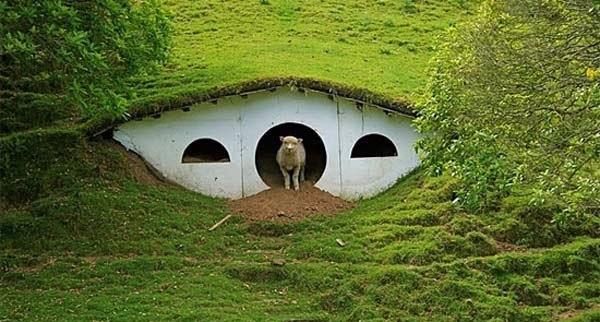 Now the little Hobbit Homes have become a tourist attraction, but also they became homes for some of the sheep from a nearby farm. 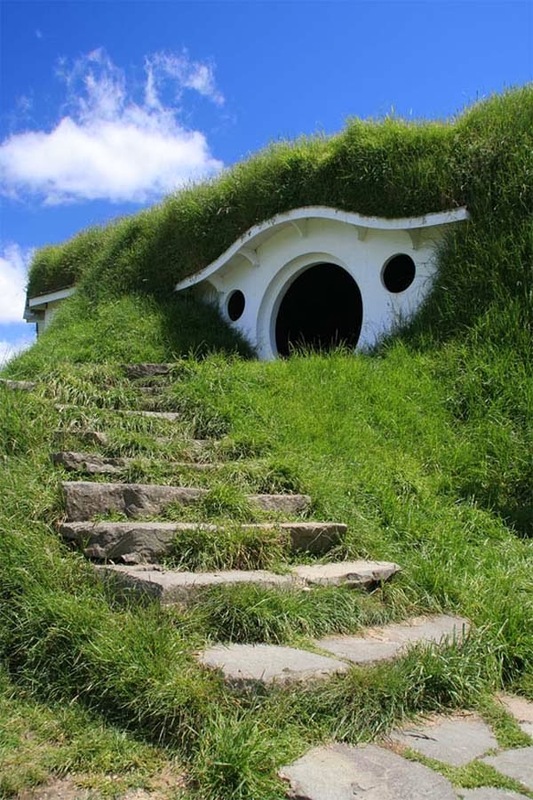 The interiors of these white structures were never finished because the scenes shot inside were actually filmed on a studio set. 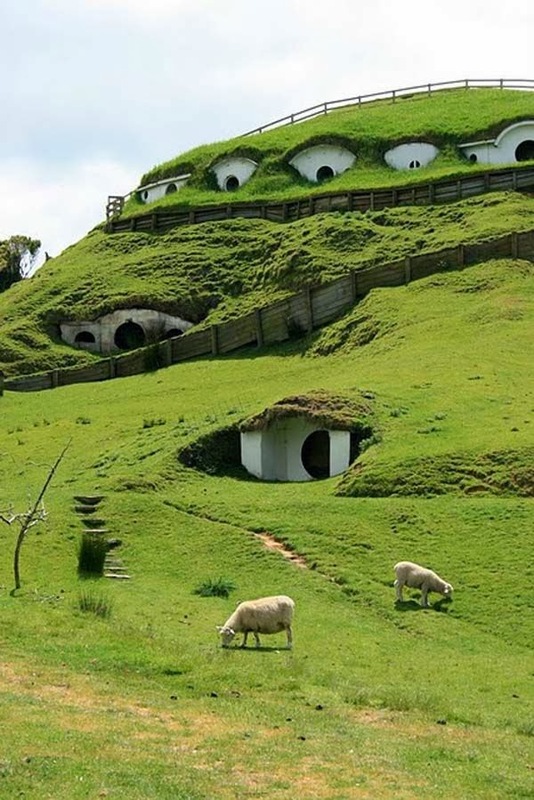 Although the place where these Hobbit houses rest under the sun are not an intimidating fun Disneyland-like amusement park, one can visit the countryside and get a chance to learn more about the sheep raised here and even pet the lambs. 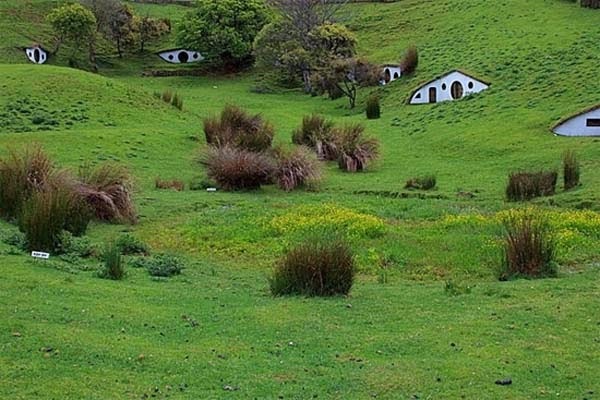 From inside the little houses the scenery opens to a beautiful valley with trees scattered here and there. 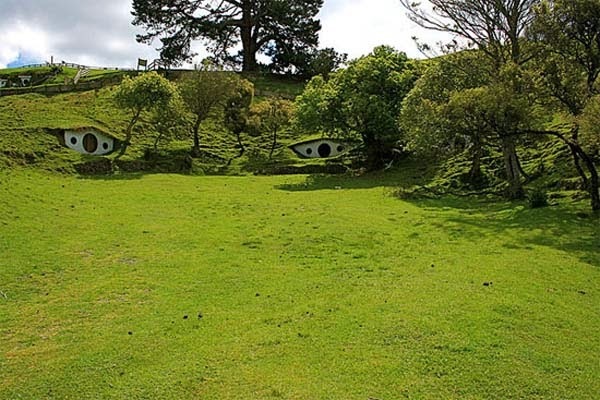 The panorama is almost untouched by humans and it gives one the feeling of being in the right place at the right time. 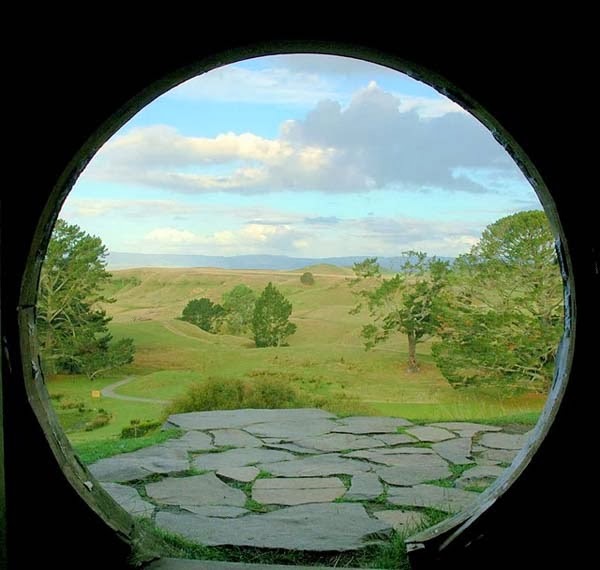 Round entrances and windows blend beautifully with the green grass creating a surreal environment that could give Lord of the Rings fans an exquisite travel experience.